Pink Shell Beach Resort & Marina on Fort Myers Beach, Florida, the award winning AAA resort, appointed Donald Sawin as the Membership Director of the Pink Shell Yacht & Beach Club. Donald's background and experience will be invaluable to the Pink Shell Yacht & Beach Club as we continue our long history of dedicated service and hospitality. He will be responsible for managing all aspects of the Pink Shell Yacht & Beach Club, namely sales and marketing along with member satisfaction. Sawin’s extensive membership, recreation and restaurant background will allow Pink Shell to enhance its position as the premier family destination for fun and relaxation on Fort Myers Beach. Sawin, a hospitality executive, has over 30 years of experience within the industry. His background includes resorts and clubs such as the Ritz-Carlton Naples, Marriott Marco Island, and the Tiburon Gulf Club of Naples. Most recently he served as the Director of Membership Sales at Naples’ Imperial Golf Club. 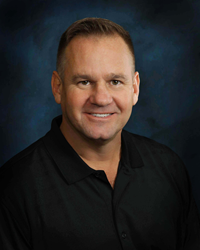 Mr. Sawin brings extensive experience in operating premiere membership clubs and has demonstrated a proven track record. “All of us at Boykin Management Company and Pink Shell Beach Resort & Marina are enthusiastic about the addition of Mr. Sawin to the Boykin-Pink Shell family. His background and experience will be invaluable to the Pink Shell Yacht & Beach Club as we continue our long history of dedicated service and hospitality”, said Alicia Wiley, General Manager of the Pink Shell Beach Resort & Marina. The Pink Shell Beach Resort & Marina, a Boykin Management Company Property, is located on Fort Myers Beach, Florida along a ¼ mile of sugar-white sands with 213 beachfront studio and condo-style accommodations, overlooking the Gulf of Mexico, the barrier islands of South West Florida, Sanibel and Captiva. Pink Shell was the first resort on the beaches of Fort Myers and Sanibel, Florida to be designated a Green Lodging Property by the Florida Department of Environmental Protection (FDEP). The resort features many recreational activities in a family-friendly atmosphere. For more information, please visit http://www.PinkShell.com. Boykin Management Company (BMC), a leading hospitality management company with offices in Charlotte, North Carolina and Fort Myers Beach, Florida, is consistently recognized for excellence in delivering value-added lodging operations. Since 1958, BMC has been developing, managing, and operating hotels, resorts, condominium hotels, and conference centers. In addition to BMC’s long-standing relationships with the industry's leading hotel brands including Marriott, Hilton, DoubleTree, Embassy Suites, Radisson, Crowne Plaza, Hampton Inn and Holiday Inn, BMC has operated numerous independent and resort hotels. BMC has managed more than 20,000 rooms in 23 states since its inception. For more information, please visit http://www.boykin.com.